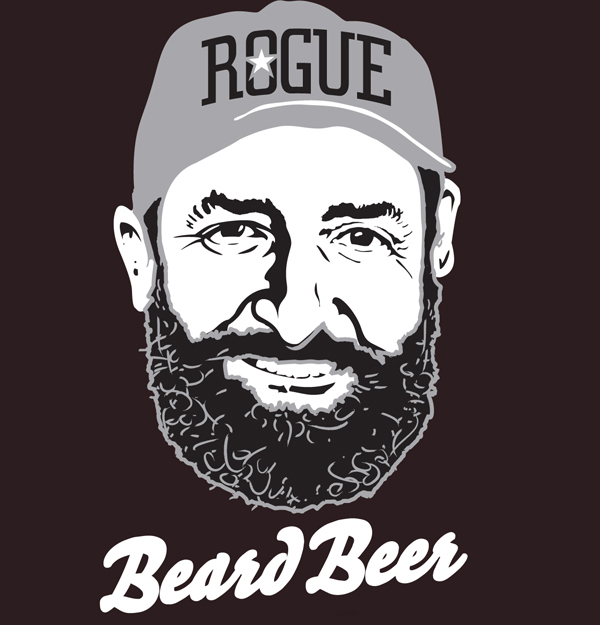 Description: Beard Beer is brewed with a yeast created from Rogue Brewmaster John Maier’s own beard. Using this wild yeast strain, the brewery fashioned a wild ale, similar to what brewer’s have been doing for centuries prior to the invention of pasteurization and the rationalization of the industry. Tasting Notes: This beer was very reminiscent of a farmhouse ale, which stands to reason. The addition of wild yeast, even if it does come from a brewmaster’s beard, is what gives a farmhouse that characteristic, yeasty and effervescent flavor. And this brew has all that in spades, along with the notes of coriander and mild bitterness. The brewery was right when they said in the description that this beer “will surprise you”. This entry was posted in Reviews, US Beers and tagged American Wild Ale, Brewmaster John Maier, farmhouse ale, Rogue Beard Beer, Rogue brewery, wild yeast by storiesbywilliams. Bookmark the permalink. I was so disgusted by the thought of this beer for a long time. That was until I was at a Rouge bar and saw a bottle. My curiosity took over and I bought it. It was quite tasty and I have since had a second bottle. Yum!